To reach a Spanish expert consensus on a treat-to-target strategy in osteoporosis, a Delphi Consensus Study has been developed. Most of the experts (59.8%) were rheumatologist with a mean clinical experience of 21.3 years (SD 8.5). Consensus was achieved for 70% of the items. Therapeutic objectives, patient follow-up scheme, treatment failure criteria, and appropriate treatment choice for use in T2T strategy in Spain have been defined. The paper aims to achieve a Spanish expert consensus on a treat-to-target (T2T) strategy in osteoporosis. A scientific committee led the project and was involved in expert panel identification and Delphi questionnaire development. Two Delphi rounds were completed. The first-round questionnaire included 24 items and assessed, using a seven-point Likert scale, the experts’ wish (W) and prognosis (P) in 5 years for each topic (applicability, therapeutic objectives, patient follow-up, and possible treatment to be prescribed). Items for which there was no consensus in the first round were included in the second round. Consensus was defined as ≥75% agreement (somewhat/mostly/entirely agree) or disagreement (somewhat/mostly/entirely disagree) responses. Of the experts, 112 and 106 completed the first and second rounds, respectively. 59.8% were rheumatologists with a mean clinical experience of 21.3 years (SD 8.5). Consensus was achieved for 70% of the items, and was established regarding the utility of a T2T strategy to define therapeutic objectives, optimal follow-up, and therapeutic algorithm. Participants agreed on the utility of the bone mineral density (BMD) value (T-score >−2.5 SD for spine and >−2.5/−2.0 SD for femoral neck), lack of fractures, and fracture risk (FRAX) as therapeutic objectives. For measuring BMD changes, consensus was achieved on the suitability of hip and femoral neck locations. Experts agreed to consider treatment failure as when a significant BMD gain could not be achieved, or when a new fracture occurs within 2–3 years. There was consensus that all proposed therapies should achieve a therapeutic target through T2T strategy (treatments with the highest consensus scores were denosumab and teriparatide). The therapeutic objectives, patient follow-up scheme, treatment failure criteria, and appropriate treatment choice for use in T2T strategy in Spain have been established by a panel of experts. Some aspects nevertheless still require further analysis. Osteoporosis is a highly prevalent chronic disease characterized by decreased bone strength, the main clinical consequence of which is fragility fracture . Drug treatment for osteoporosis is based on the presence of fragility fractures, measurement of bone mineral density (BMD), or fracture-risk assessment, usually determined by the Fracture Risk Assessment Tool (FRAX) score. Patients are monitored in clinical practice by measurements of BMD and, occasionally, bone-turnover markers (BTMs). A therapeutic intervention is deemed successful if no new fractures occur, BMD increases or remains stable, and BTMs change appropriately. There is still controversy, however, as to whether treatment should be maintained indefinitely under these circumstances . In contrast, many other chronic diseases (e.g., diabetes, hypertension, dyslipidemia, and rheumatoid arthritis) have well-established treatment goals with which to facilitate the medical management of the disease, thus enabling a “treat-to-target” (T2T) strategy . A biomarker is a measure that is indicative of a physiological process, a disease process, or a pharmacological response to an intervention. In order to establish a T2T strategy, it is first of all necessary to identify an appropriate biomarker for the disease follow-up process and to establish its threshold. Recently, some authors and scientific societies (such as the International Osteoporosis Foundation (IOF) and the American Society for Bone and Mineral Research (ASBMR)) have proposed that a T2T strategy could be helpful for osteoporosis treatment [4, 5, 6]. The general aim of T2T is to simplify management, and ultimately to reduce organ damage and improve clinical outcomes . In particular, in the field of osteoporosis, T2T strategy is intended to individualize the initial choice of treatment based on the probability of achieving the goal for a patient. Moreover, decisions about stopping, discontinuing, changing, or continuing treatment may be also based on an established therapeutic target. Analyses of data available in the main placebo-controlled randomized trials with fracture as a primary endpoint could be the most suitable approach for identifying the best targets. However, the performance of biomarkers available for a T2T strategy has been questioned by some authors on the grounds that it is not easy to implement . There are no established consensus goals for BMD, BTM, or fracture risk in the treatment of osteoporosis. Recently, societies such as ASMBR and the United States National Osteoporosis Foundation (NOF) have encouraged the idea of performing further comparative studies and analyses to define treatment goals in order to apply T2T strategy . Fortunately, the significant impact of new anti-osteoporotic drugs on enhancing BMD and its relationship with lowering fracture risk could change this scenario . In the present situation, the development of a comprehensive process for yielding consensus among experts in osteoporosis is the best approach for establishing a T2T strategy and for assessing its possible future implementation in clinical practice. Delphi technique was therefore implemented to analyze the degree of consensus on T2T strategy in osteoporosis among Spanish specialists. Two Delphi rounds were performed to establish consensus regarding the T2T strategy in osteoporosis. The Delphi technique is a structured method widely used to gather important information on a specific topic. It is based on a series of questionnaires or “rounds” addressed to experts. The key features of this method are the anonymity of participants and controlled feedback [10, 11, 12]. The project was led by a scientific committee that was composed of six experts in bone metabolism (three endocrinologists, two rheumatologists, and one medical internist), who were selected by the main medical societies in bone metabolism (Spanish Society of Bone and Mineral Metabolism Research [SEIOMM] and Spanish Rheumatology Society [SER]). The scientific committee took part in the identification of the study participants (expert panel) and assisted in drawing up, reviewing, and approving the specific questionnaire developed for use during the Delphi rounds. Its members likewise validated and analyzed the results of the study. The scientific committee selected 165 participants. The criteria for their selection included professional knowledge and experience in the field of osteoporosis, and practice in the Spanish Health System, as well as active membership of any of the scientific societies that collaborated in the study (henceforth they are referred to as experts). There is little consensus in the literature concerning the optimal sample size of a Delphi study [13, 14, 15]. Some studies showed that experts who have similar training and general understanding in the field of interest allow for effective and reliable utilization of a small sample . The development of the first-round questionnaire involved a systematic review of the literature on osteoporosis, including articles referring to T2T. Once the main aspects of this strategy were identified, a discussion group defined the aspects to be included in the questionnaire with the scientific committee. The first round of the electronic questionnaire included 24 items (176 aspects) involved in the T2T strategy on osteoporosis. These were distributed in four blocks: (1) applicability, (2) therapeutic objectives to be established, (3) patient follow-up, and (4) possible treatment to be prescribed. All items were drafted as assertions to be answered from two perspectives: wish (desire for it to happen) and prognosis (belief that it will happen) in a 5-year period. A seven-point Likert scale was used for each answer (entirely disagree/mostly disagree/somewhat disagree/neither agree nor disagree/somewhat agree/mostly agree/entirely agree). An open space in which to express any opinions was also provided. It is important to consider that questions included in blocks 1, 2, and 3 were raised on a general basis and with no reference to a specific drug. Definition of consensus was established before data analyses. It was determined that consensus would be achieved if at least 75% of participants reached agreement (entirely agree, mostly agree, or somewhat agree) or disagreement (entirely disagree, mostly disagree, or somewhat disagree) [11, 17, 18]. The consensus regarding agreement or disagreement was considered to be strong when over 75% of the participants responded entirely agree/mostly agree or entirely disagree/mostly disagree . The first round took place between 11 and 27 May 2015. The aspects about which respondents did not reach consensus in this first round (18 items that evaluated 78 aspects) were included in the second round. Accordingly, controlled feedback relating to ratings gathered from the group during the first round was provided for each item. Participants had the opportunity to alter their initial rating, based on the group responses. The second round took place between 8 and 21 June 2015. A database was created using SPSS Statistics version 20 by IBM (Armonk, NY, USA). Percentages for each response were calculated for both studied perspectives (wish and prognosis). A proportion within a range method was used to define consensus . This study was performed in accordance with the Helsinki Declaration. All the personal data included in the study were dissociated from the results and kept anonymous, in compliance with Spanish law on data protection . One-hundred and sixty-five experts from all over Spain were invited to participate by e-mail. Of these, 112 answered the first-round questionnaire (67.88% of the experts contacted) and 106 the second-round questionnaire (including 94.6% of the experts who answered the first round). Of these, 65.2% were male, had a mean experience of 21.3 years (SD 8.5), and visited a median of 70 patients per month (IQR between 40 and 100). Most of the participants were rheumatologists (59.8%), followed by internists (14.3%) and endocrinologists (10.7%). Consensus was reached on 70% of issues, 44% of them being reached in the first Delphi round. Most of the participants (wish 96.4% and prognosis 82.1%) agreed that, on the basis of T2T strategy, it should be possible to establish a well-defined therapeutic objective, to propose an optimal follow-up scheme, and to provide insight on the therapeutic strategy. Assessment of the therapeutic objectives to be established in a T2T strategy for osteoporosis was based on 13 items (Table 1). There was consensus that the absence of new fractures, an increase in BMD, a significant change in BTMs, and fracture risk reduction measured by FRAX could be used as therapeutic objectives. Experts also agreed that all preceding parameters, except BTM, will be used in the next 5 years (Fig. 1). It is important to note that strong consensus was reached only on the use of absence of new fractures as a therapeutic objective (wish 93.8%; prognosis 82.1%) (Table 1 and Fig. 1). As far as BMD is concerned, it was established that this should be measured using a tangible absolute value, or as a predetermined difference between two values. Scores higher than −2.5 SD were the only tangible absolute values for spine T-score, for which consensus was achieved from both the wish and prognosis perspectives. As far as femoral neck T-score value was concerned, there was consensus that scores higher than −2.5 and −2.0 SD should be established as a therapeutic objective. From both perspectives (wish and prognosis), there was consensus that the three anatomic areas suggested in the Delphi questionnaire (lumbar spine, femoral neck, and total hip) were useful for monitoring BMD in patients who have already been treated (Table 2). It is noteworthy that a strong consensus was established in both perspectives related to the usefulness of femoral neck area (wish 99.1%; prognosis 98.2%). Six items of the survey assessed matters related to the treatment prescribed in a hypothetical T2T strategy for osteoporosis (Table 3). Participants deemed that all drugs, except strontium ranelate, were suitable for a T2T strategy. According to expert opinion, the most suitable drug for this strategy is denosumab (for which there was over 97% agreement), followed by teriparatide (96.4% agreement). There was, on the other hand, considerable disagreement, both regarding wish and prognosis, on whether strontium ranelate is a suitable drug for a T2T strategy. A drug holiday following the achievement of a therapeutic objective seems a good strategy and achieved over 80% agreement, for bisphosphonates, strontium ranelate, and denosumab. However, when using selective estrogen-receptor modulator (SERM), there was no agreement on the best option after the objective has been achieved. From wish and prognosis perspectives, there was consensus that treatment failure should be considered whenever the BMD increment is not achieved within 2 or 3 years, a new fracture is diagnosed over 2 or 3 years, or a significant change in BTM is not achieved in the following 6 months or 1 year (Table 4 and Fig. 2). To our knowledge, this is the first expert consensus regarding the applicability of a T2T strategy for osteoporosis in clinical practice. The results of Spanish consensus on T2T strategy for osteoporosis using Delphi methodology are presented. The study results reflect data not only from pivotal studies but also from post-authorization studies and, above all, the clinical experience of experts. A treating strategy with which to achieve a well-predefined goal is a feature of different areas of medicine. T2T strategy has thus been widely applied in the fields of diabetes , hypertension , hypercholesterolemia , and rheumatoid arthritis [22, 23]. In osteoporosis, it has also recently become a matter of interest. Its role in this context remains controversial. T2T is an attractive approach for application in order to avoid the perpetuation of treatment and possible adverse effects, provided that the desired goal is achieved. The problem begins when a measurable and sensitive tool is required to assess the achievement of the final objective. Capturing the change in fracture risk associated with treatment is not easy. Strong evidence is needed to confirm that selecting and switching treatment reduces fracture risk more effectively than the current standard of care . Since we have treatments to modify the bone-remodeling process, the ultimate objective has always been the reduction of fragility fractures . Given that two new issues have appeared in the field of osteoporosis, the need to establish a therapeutic goal has become evident . Some treatments, such as anti-sclerostin or denosumab, have demonstrated a high increase in BMD after short periods of treatment, with most patients reaching normal range T-score values when evaluated by dual-energy X-ray absorptiometry (DXA) measurements [24, 25]. Until now, however, the measurable goal has never been attempted, and when it was attained, debate centered upon whether the treatment should be stopped, changed, or at least reconsidered, given that fragility fractures could reappear if some treatments were discontinued. 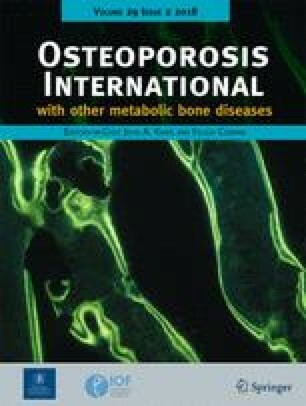 We have therefore analyzed the current thinking of Spanish experts in bone metabolism, on the basis of two perspectives: the wish or desire for occurrence and the prognosis or belief that, upon consideration of the field and resources, this will be put into practice within a 5-year period. Wide consensus arose when experts were asked about the feasibility of establishing a well-defined objective in osteoporosis. Almost all participants agreed on the possibility of applying T2T strategy in clinical practice in osteoporosis. Consensus usually arises in Delphi methodology when agreement or disagreement ranges from 50 to 80% . In this case, agreement exceeded 95%, which could indicate that Spanish physicians have a strong desire to have a T2T for osteoporosis management. There was consensus that the parameters used as therapeutic objectives in the context of the T2T strategy in osteoporosis should be the absence of new fractures, a specific BMD value, and, at a lower level, BTM and fracture-risk reduction measured by FRAX. Many physicians do not have access to BTM and the use of FRAX is not general practice. Consequently, its implementation as a target is less feasible. FRAX does not seem to be a good tool for measuring the reduction in fracture risk achieved with treatments. However, 75.9% of the experts would wish a therapeutic objective of a 10-year risk of fracture measured with a tool such as FRAX. Furthermore, 84% of them predicted that FRAX, probably with certain adjustments, will become a useful tool for a T2T strategy in osteoporosis. With regard to this hypothetical situation, Leslie et al. demonstrated in the Manitoba cohort population that the increase in FRAX score over time after therapy was lessened, albeit not prevented. Actually, this hypothetical situation is almost impossible in the real life. In fact, Leslie et al. demonstrated in the follow-up of Manitoba cohort that a small percentage of patients, even with a medication possession rate >0.8, achieved reduction in major fracture probability of 4% or higher. Therefore, we believe that the result of the question regarding FRAX reduction, even though it could be used as the principal parameter for defining an adequate therapeutic objective, is more a wish than a reality. It might reflect the desire of having in the future a tool more linked to a reduction of the risk in patients on treatment. Consensus was established regarding the utility of BMD as a principal parameter for defining an adequate therapeutic objective. In line with that, it was established that BMD should be measured using a tangible absolute value, or as a predetermined difference between two values. Scores higher than −2.5 SD for spine T-score were the only tangible absolute values, for which there was consensus for both perspectives. As far as femoral neck T-score value is concerned, there was consensus that scores of over −2.5 or −2.0 SD, which are almost the same threshold values for osteopenia and osteoporosis in the WHO definition , should be established as a therapeutic objective. The FLEX study  showed that the T score −2.5 was the optimal point to be achieved in order to prevent new nonvertebral fractures. Moreover, the results suggested that there was no advantage in continuing with alendronate. In our study, a T score of −2.0 was included on the basis of the FREEDOM study . The results of the FREEDOM study suggested that the reduction of nonvertebral fracture risk associated with denosumab was influenced by the hip BMD achieved with initial therapy . There was discussion regarding the T-score threshold and the site of BMD measurement. It seems that spine BMD is influenced by several artifacts such as osteophytes, vascular calcifications, and sclerosis, and such factors could bias the real results . Femoral-neck BMD, meanwhile, reflects more cortical bone, whereas total hip measures cortical and trabecular bone . The first step to establish a measurable mark for T2T strategy would therefore be to select the proper location for measuring BMD. Despite all these technical considerations, when asked about the most appropriate anatomic locations for monitoring BMD in the Delphi questionnaire, consensus was reached on lumbar zone, femoral neck, and total hip, while only femoral-neck area saw strong consensus for both perspectives (wish and prognosis). When fracture-risk reduction was used as the main parameter for defining an adequate therapeutic objective, there was agreement that this parameter should be measured using FRAX. Like BMD, there was consensus that fracture risk reduction should be measured either using a tangible percentage or as a predetermined difference between two values. As far as the former is concerned, consensus was only achieved on the value of risk of major fractures attained to be lower than 10%. It is noteworthy that consensus was not established for the perspective of prognosis. As regards BTM, there was consensus that they were good therapeutic indicators for determining the therapeutic objective and performing treatment follow-up. However, from the perspective of prognosis, consensus was established only on their utility in treatment follow-up. For both perspectives, there was consensus concerning the utility of all parameters/techniques proposed for the measurement of incidence of new fractures: vertebral fracture analysis (VFA), height, conventional X-ray, major peripheral fragility fractures, or any fracture. With regard to the optimal follow-up scheme, our results suggest that the best anatomic site for monitoring densitometry was the femoral neck, although lumbar spine obtained also a high participant wish score. In fact, this reflects the expertise of participants in the Delphi study, because it is well known that as precision and reproducibility are lower at lumbar spine, osteoarthritis and other artifacts might affect results in older people, and therefore, in these cases, femoral neck could be a better choice for measurement . Experts reached consensus regarding the possibility of applying the T2T strategy in osteoporosis when the treatments used are oral bisphosphonates, intravenous bisphosphonates, and SERMs such as raloxifene or bazedoxifene, strontium ranelate, denosumab, teriparatide, denosumab plus teriparatide, or developing drugs. There was no consensus with regard to the perspective of prognosis when strontium ranelate was used. This result can perhaps be explained by the fact that even though the studies with strontium ranelate show a clear increase in BMD, its use has recently been restricted and there is a chance that the drug will be removed from the Spanish market. The treatments for which the wish consensus scores were highest were denosumab and teriparatide. This result could be associated with its positive impact that has been reported in recent studies published after long-term treatment with denosumab alone [20, 33] or with combinations . In reference to the treatment period, the experts agreed that regardless of the treatment used, once the therapeutic objective is accomplished, treatment should be stopped for a period of time, and also disagreed that treatment should be administrated indefinitely. It should be mentioned that no consensus was achieved when SERM was used. Meanwhile, in the case of teriparatide, there was also consensus on changing the treatment when, following recommendations to discontinue treatment, 18 or 24 months were achieved. Additionally, this point reflects the experience of participants, as these results are consistent with recent publications [35, 36]. BMD monitorization after target accomplishment by reversible drugs such as denosumab would require further investigation. Denosumab is characterized by reversal of effect, and is associated with a progressive increase in vertebral fracture risk rate to levels comparable with before the start of treatment. Consequently, in order to prevent new factures, as has been reported by Anastasilakis et al. , those who discontinue denosumab should switch to another therapy after the 6 months dosing interval [38, 39]. There was consensus regarding therapeutic failure upon inability to achieve a clinically significant increase of BMD for 2 or 3 years, when a new fracture was diagnosed in the subsequent 1 to 5 years, or when a significant change in BTM was not achieved in the following 6 months or 1 year. This study has several strengths and limitations. The main limitation is related to the scope of the study, as it was performed in Spain and the results may not be applicable to other countries. It would be interesting to undertake a similar study using the Delphi methodology with international experts and to observe and compare the results. The main strength of the study is related to the expertise of the participants, as most of them were expert physicians with long experience in osteoporosis and a large number of visits per month. It is also important to note that high levels of consensus were achieved in the first round, when participants were unaware of other participants’ responses. Although the European Society for Clinical and Economic Aspects of Osteoporosis and Osteoarthritis (ESCEO) asserts that it is not currently feasible to apply a T2T strategy in osteoporosis, they did nevertheless identify a need to continue improving the treatment target for patients at higher risk (“target-to-treat strategy”). They consider that before approaching the real value of T2T strategy, it is necessary, among other matters, to establish an international consensus on intervention thresholds and a universally accepted definition regarding treatment failure. 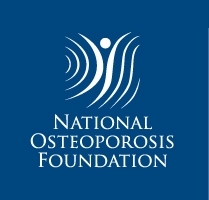 Other experts recommended the formation of a task force, composed of medical experts and representatives of physician and patient organizations, to explore the feasibility of establishing osteoporosis treatment targets. A wide and representative panel of experts established consensus regarding therapeutic objectives, patient follow-up scheme, treatment-failure criteria, and appropriate treatment choice to use in T2T strategy in Spain. Although there are some aspects that require further analysis, this study provides new original data, based on Delphi methodology, with which to implement T2T strategy for the management of osteoporosis in Spain. The authors are very grateful to all the professionals who took part in the Delphi consultation rounds for their highly enriching contributions and enthusiastic participation. The project received financial support from Amgen S.A. to conduct the study. LC and MB work at Amgen S.A. and hold stock in Amgen. LL works at a Life Science Boutique that received funding from Amgen S.A. to coordinate and conduct the study and to write up the manuscript. MMT has received research grants from UCB and MSD; is a consultant for Amgen, Lilly, and UCB; and speakers’ bureau member for Amgen and Lilly. EJ has received research grants from Amgen, Lilly, and MSD and consulting fees from Amgen, UCB, and Lilly. XN has received research grants from Lilly and Amgen; is a consultant for Lilly and Amgen; and speakers’ bureau member for Lilly, Amgen, and MSD. JMN is a consultant for Abbvie, Amgen, BMS, Gebro, Lilly, MSD, Roche, Sandoz, and UCB and speakers’ bureau member for Abbvie, Amgen, BMS, Gebro, Lilly, MSD, Roche, and UCB. JMQ has received research grants from Amgen, Lilly, FIS Carlos III, RETICEF, and Intensification of Investigation Junta de Andalucía; is a consultant for Amgen, MSD, Italfarmaco, and FAES; and speakers’ bureau member for Amgen, MSD, Italfarmaco, and FAES. EC has participated in the speakers’ bureau for Amgen, Lilly, MSD, FAES, and Rubió. All authors declare that all the results presented in the manuscript are the true expression of findings and there has been no interference in respondents’ free communication and dissemination.